The teenage years can be tumultuous times for adolescents and their families leading to parents questioning “How can we get along better with our teen?” Although adolescence can be a difficult time for some teens, there are certain steps that parents can take to improve their relationship with their teen and improve their teen’s behavior. Choose your battles – Teenagers often exhibit a variety of negative behaviors during adolescence – some which need immediate attention and others that do not. When choosing which of your teen’s behaviors to address, think about what behaviors are non-negotiables and which ones are not. For example, staying out past curfew may be a non-negotiable because of safety concerns, but your teen wearing a particular t-shirt that you do not care for may not be. Compromising – For things that can be negotiated (e.g., bedtime, TV time), have a compromising session with your teen focused on coming to an agreement on the issue. Stay calm during this time with your teen and be sure to be a good listener and respectful of their ideas and feelings. Ask your teen their perspective, summarize their point of view, and then state your own perspective on the situation. Find common interests and the perspectives you both share. Ask your teen to think of solutions that they have for the situation and offer some of your own. Do not discount any of their ideas. Write them all down so that you can then review them together and select which options work for both of you. Write down the agreement in the form of a contract. 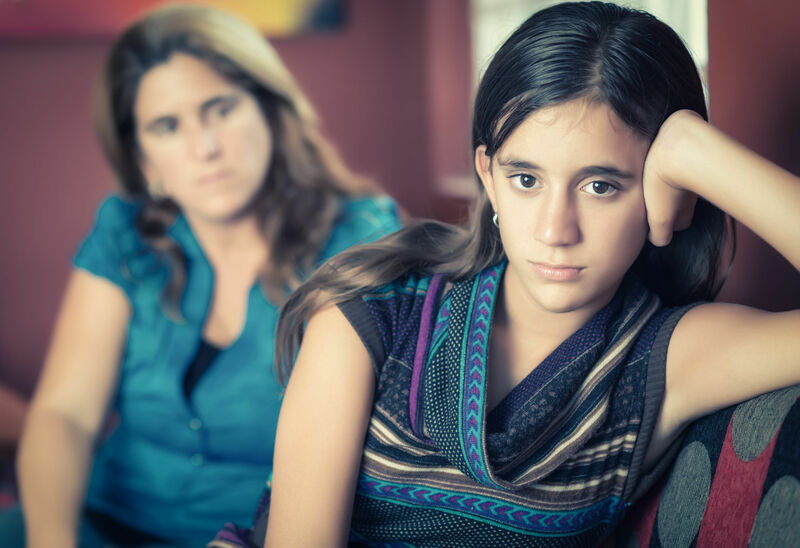 Pay attention to and provide positive reinforcement for positive behaviors – It may be tempting to only focus on your teen’s negative behaviors and try to correct them, but positive attention for positive behaviors can go a long way. Also, without any positive attention, your teen may become exasperated and frustrated, which can then lead to further acting out behaviors. So, try to focus on any positive behavior that your teen exhibits – large or small – and provide verbal praise for that behavior or a tangible reward (e.g., extra screen time, special outing). Also think of “positive opposites” for the negative behaviors that you want your teen to stop engaging in. For example, if you do not like the fact that your teen leaves his shoes in the middle of the hallway, make sure that every time he puts them away you give him a lot of positive attention through the form of verbal praise or a tangible reward for that behavior. There are many other tools and techniques that you can use in improving your teen’s behaviors, but if you begin with the ones previously discussed, you’ll be off to a good start in “getting along better” with your teen.